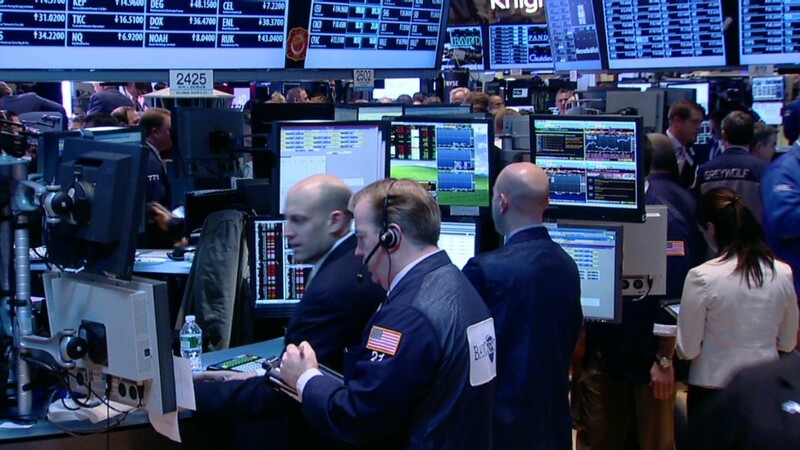 The Dow Jones industrial average rallied to a new record high Tuesday. The S&P 500 added 15 points and finished at its highest level since October 2007 and is now only about 2% away from its record closing high. "We're back to the highest levels in history, but we've got more things going for the economy and the market than we did last time," said Art Hogan, managing director at Lazard Capital. Back in 2007, the economy was on the verge of winding down and heading into a tailspin, he said, whereas now it's continuing to improve, albeit slowly. Stocks are also cheaper now. They were trading at 17 times earnings estimates in 2007. Currently, stocks are valued at about 14 times earnings estimates for 2013. Plus, both consumers and businesses have more cash and less debt, said Hogan. Still, not all stocks are at record highs. The Nasdaq, which rose more than 42 points Tuesday, is nearly 40% below its all-time highs that were set in March 2000, prior to the collapse of the dotcom bubble. The Nasdaq is trading at its highest level since November 2000 though. While Hogan expects stocks will continue to head higher, there are likely to be some bumps along the way. It's possible that investors will take a break from buying, he said, adding that with the Dow up 9% year-to-date, it wouldn't be abnormal to see stocks move sideways or decline. Concerns over Europe, particularly the Italian elections, and the ongoing budget drama in Washington, could serve as catalysts for a brief slide. But a pullback could also be healthy and short-lived. Hogan noted that recent moves downward have been met with more buyers. "There's a lot of money on the sidelines waiting to get involved in the market, but those investors feel like after the recent move up, they need a pullback before they get in," he said. To that end, individual investors have put just $21 billion to U.S. stock mutual funds this year, a relatively small amount given that they pulled more than $500 billion out from stock funds since the financial crisis. Moreover, as long as central banks around the world continue to support the global economy and financial markets, the bull run that began when the market bottomed in March 2009 is likely to keep going, said Hogan. "Supportive monetary policy is going to be with us for a while," he said. "Central banks, including the Federal Reserve, have made it clear that they won't tighten their policies until economies are self-sustaining, with higher employment and low inflation." Later this week, central banks in Europe, Japan and the U.K. are scheduled to meet. All of them are expected to give more promises of support the for world's major economies. On the economic front Tuesday, the Institute for Supply Management's monthly index on service sector business activity rose to 56 in February, a slight improvement from 55.2 the prior month. Economists were forecasting a reading of 55.4. In corporate news, JC Penney's (JCP) shares tumbled more than 10% after Vornado Realty Trust, one of the retailer's biggest shareholders, reportedly dumped 40% of its stake. The struggling retailer is in the third week of a court battle with Macy's (M) claims that Martha Stewart Living Omnimedia (MSO) violated a previous agreement with Macy's in entering into a new partnership with J.C. Penney. Genworth Financial Inc. (GNW) shares rose on rumors that the company is planning a sale. Apple (AAPL), which hit a new 52-week low on Monday, enjoyed a bounce with the broader market. Shares rose more than 2% Tuesday, but the stock is still down nearly 20% this year. Meanwhile, Google (GOOG) closed at a new record high. After the market close, gun maker Smith & Wesson Holding Co (SWHC) said its earnings more than tripled in the most recent quarter. The nation's second-biggest publicly traded gun company also raised its outlook for gun sales this year, sending shares higher in after-hours trading. Gun sales have surged in recent months amid speculation about new gun control laws. European markets ended higher, while Asian markets also ended with gains after Chinese Premier Wen Jiabao announced the government will carry a larger deficit in 2013 to help the world's No. 2 economy reach its goal of 7.5% growth this year.